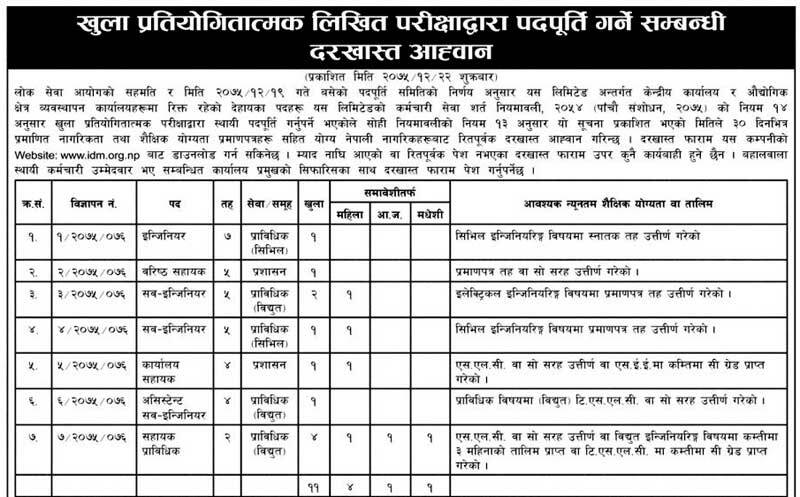 Industrial District Management Limited, Balaju, Kathmandu announces vacancy (published on 5 April 2019) for various positions in both open and inclusive categories. The written examination will be conducted by Lok-Sewa Aayog. Rs 1000 for Engineers (Position no. 1) and Rs. 400 for other positions (2-7).